Another great idea of Dave Hyland’s that I duplicated. 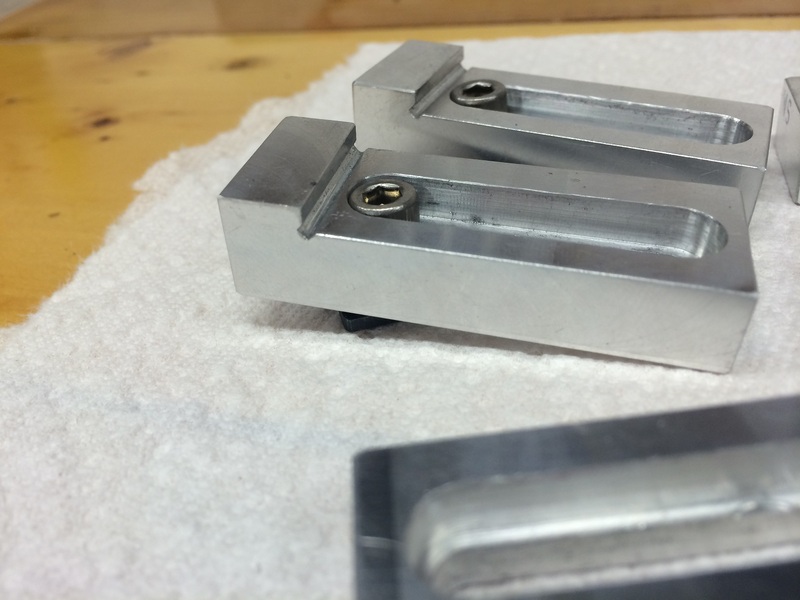 Unlike my other low-profile vise, this version allows clamping in the Y-axis as well as the X. 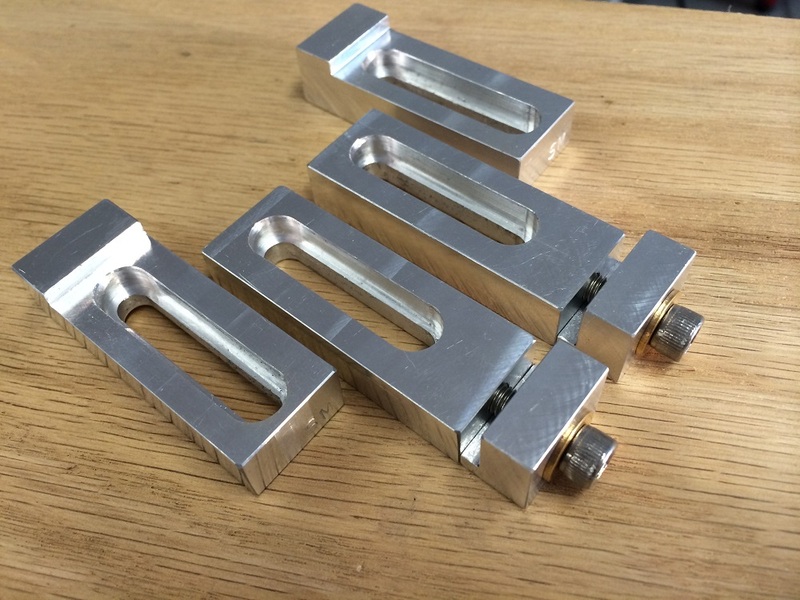 It also allows for clamping much wider objects for greater stability with thinner materials. I used this project to iron out some kinks in my CNCDroid program’s SlotCutter plugin, including counter-boring the slots. I’ve started to notice some rust on my collection of black oxide machine screws. I think I’m going to start using all stainless steel screws from now on. The brass washers add a nice bit of color to all the aluminum 6061, which I left with a facecutter-induced polish. Update: A fellow metal worker suggested I add a small slot along the fixed jaw to allow for rough edges and debris. I picked up a couple 1/16″ endmills from a local shop for $1.50 each (I had a feeling I’d break at least one at that tiny size!). I then milled out a 1/16″ x 1/16″ relief slot. Better!